Stacks means in layers thus as a full-stack developer, you need to be good in all the layers. In addition, you need to be a good communicator. This applies to what you create and how you relate with your clients. As a full stack developer, you need to predict how the user will feel, how the client will feel and how you as the developer will make it easy for them. It is important to learn all front-end technologies, so you start with that. Next, you need to decide on a programming language that you need to start with, you can start with PHP. However, with time you may feel like learning Python or Ruby. Don’t limit yourself; learn any language you feel comfortable with. It helps you stay a step ahead of those who know only one. It is also important to know more than one because you may want to create certain software with a specific characteristic and you will be able to know which language will work best. Then learn how to create, edit databases and all the other categories. After this all you need is practice. Don’t give up; make sure you do your best. • Adequate knowledge in satisfying the customer and business needs at the same time. • Knowledge of API and its interaction, Action layer and MVC. • Having enough knowledge of servers, domains, and the hosting process. • Knowing data modeling and business logic. In addition, bootstrap tends to be on this category. It is a framework that helps build a layout and design a page using readily available codes. It works the same as CSS, but is more advanced. Unlike CSS, bootstrap has available codes while in CSS you need to code from scratch. Ruby is a programming language that aims at providing web solutions. Rails is the framework that Ruby works on. Being a framework, it lessens the codes that are supposed to be written. The gem library also provides modules that can be used for certain functions. Java is a backend language that is used in creating applications. For example, a calculator. In addition, you can use Java to make software. It is still in demand even today. Python works the same as Ruby and PHP. They are somewhat at the same level. Thus in this category, you need to be decisive of which among the three you prefer. PHP is a programming language that works well with databases and ensures all the data is stored as instructed by the codes. It is a popular language and many people prefer using it. Moreover, it is easy to learn and start. Data is mainly stored in databases, for easy retrieving. Thus, it is important to understand SQL and MySQL. It is also important to know how to connect the database with a programming language, For instance, PHP with MySQL. You should also have a deep understanding of cache. This is what allows the client side and server side to communicate. Whenever you click on an URL address it always shows HTTP or HTTPS. That’s the magic of it. It is also important to get an SSL certificate that will help secure your site. In version control systems, there is Git that allows developers in a team to keep track of the changes being made to a code base. It is essential to learn everything about Git that will help you know how to update codes, fix messy codes and change codes. Note: – It is also important to have a broad understanding of Algorithms and data structures. 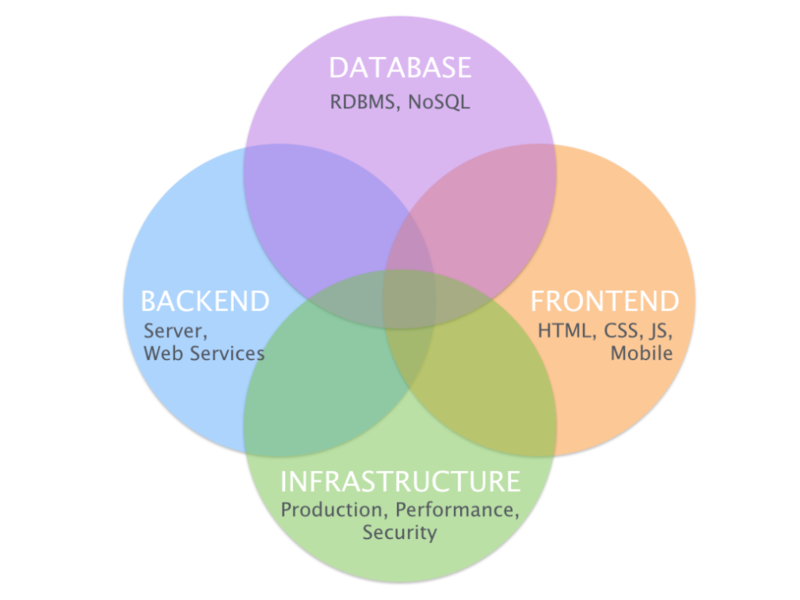 In addition, knowing web application architecture is also important. 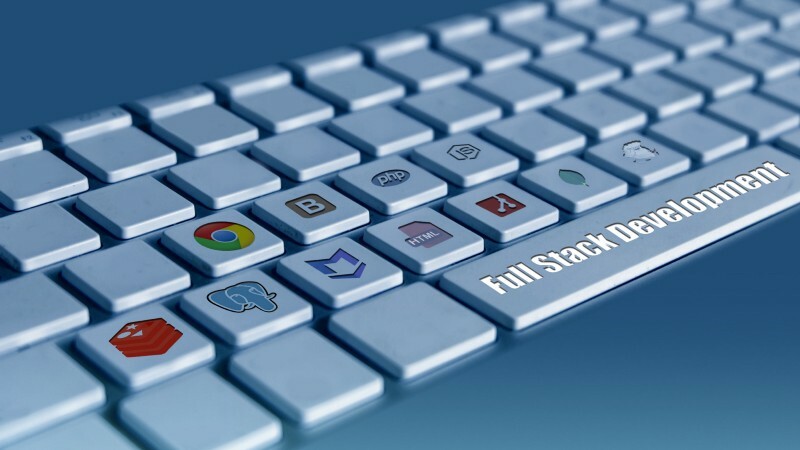 Thus to be considered a full stack developer you need to know object oriented designs, how to build interactive websites, Front end technologies, back-end technologies, data storage, databases, algorithms operations, client and server side, deployment techniques and workflows. To give a summary, you should first find your niche then identify any business or customer needs there. Decide what you want to focus more on. Don’t strive to learn all the languages at the same time. Just like a baby; one step at a time. You can then start to learn and practice. Know what is working for you and what is not. However, remember even when the going gets tough never give up. Make sure you are up to date with all the latest trends, tricks and tips. It is important to join communities and follow developers and blog sites. This will enhance your education. Then just write your codes. You will reach your destination sooner than expected.